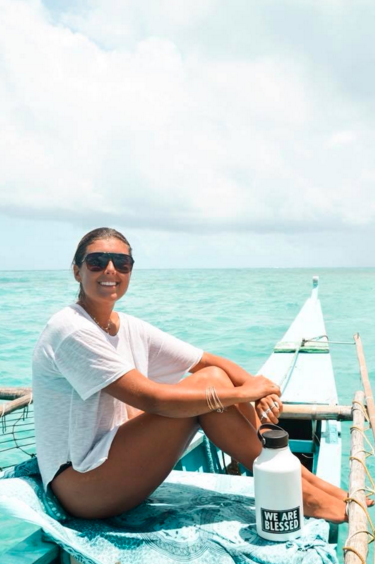 This year, I spent THREE months backpacking through Asia, Indonesia and Sri Lanka with my closest girlfriends to explore new land, sea and surf. I ENDED UP EXTENDING MY ONE MONTH LONG TRIP TO THREE MONTHS AND ENDED MY ADVENTURE MORE INSPIRED AND MOTIVATED THAN EVER BEFORE. THE GIRLS AND I DID OUR ABSOLUTE BEST TO BE AS ECO-CONSCIOUS AND CONSIDERATE AS POSSIBLE WHILE BACKPACKING ABROAD AND IMMERSING MYSELF IN NATURE AND THE SEA FOR THREE MONTHS. HERE ARE SOME TIPS AND TRICKS TO HELP YOU DO THE SAME. Our first month in the Philippines was immeasurably incredible and unforgettable for the four of us. We surfed some of the best waves of our lives', dove, sailed, hiked, scuba-ed, volunteered, cleaned beaches and connected with new brothers and sisters from around the world. It began to feel like for every ounce of natural beauty and breathtaking scenery we drank in, there were the same number (or more) of encounters with poverty, pollution and filth. Abandoned landfills left overfilled and overflowing sweating in the hot sun beneath hundred year old coconut treats and aqua blue skies. Mounds of washed up plastic, non-biodegradable trash and discarded manmade supplies piled higher than most local houses. Beautiful, laughing filipino children playing games in nearby rivers and streams as trash bags and plastic bottles sailed unnoticed among them. It was so difficult to see with my own eyes. These countries are being bombarded with hundreds of thousands of new tourists each year at the cost of their only remaining natural beauty. Cruise ships and commercial planes were entering the philippines left and right, while the land and sea is more polluted than ever before. I’ve attached a few photos of the trash being washed up on the ocean below. A majority of this pollution being discarded shoes, sandals, tooth brushes, plastic cutlery, water bottles, water bottle caps, children's toys, product packaging, micro plastics and fishing supplies. Witnessing this destruction in person was more horrifying than photos can depict. Many times, when we discard or chuck our trash, it does not end up where we expect. Did you know that it’s entirely legal to dump trash in the ocean? There are certain limitations made by the United States Coast Gaurd for what you can and cannot dump into the ocean from a specific distance to the shore. Although it is not permissable to dump any plastic into the ocean in 2018, it is perfectly acceptable to dump any raw sewage, paper, rags, glass, metal, bottles, or similar refuse, as long as you are at least 12 miles away from the nearest shoreline. Isn't that just f*cked up?! I could've died when I learned this for the firs time after reading a boat captain friend's USCG pamphlet last year. One average-sized cruise ship dumps about 30,000 gallons of human waste into the oceans each day. If that cruise ship is within three miles of a U.S. shoreline, the sewage must be treated, but if they are outside of three miles, they can dump raw, untreated sewage into the oceans. In addition to the 30,000 gallons of sewage, each cruise ship dumps, on average, 255,000 gallons of gray water per day. Gray water includes water used for showers, laundry services, and dishwashing, and will contain soap and chemicals, even toxic chemicals used for photo-processing and dry-cleaning! An average cruise ship will produce seven tons of garbage and solid waste every day! In a year, approximately 15 billion pounds of garbage is dumped into the oceans. The pollution produced by the emissions of one cruise ship in one day equals that of about 12,000 automobiles. Feeling frustrated and unsure of what to do first, the girls and I made a promise to be a part of the resolution for the Philippines islands which are being consistently swarmed by thousands of new businesses, buildings, accommodations, stores, restaurants and attractions for tourists. Like ourselves. We only had 4 weeks in the Philippines, but we knew that was more than enough time to do our part in some way. Or at least get a little more clear on the severity of this trash epidemic. We joined local beach clean ups, volunteered with preservation and protection groups and avoided single use plastic like the plague. We immediately fell in the love with Philippines, and the sweet, hospitable filipino people, and collectively knew we needed to leave these islands in a better condition than when we arrived. I haven’t purchased one bottled plastic water in over 2 years since first purchasing my Kangen water machine. So there is no way in heck I was going to start in the Philippines. Old plastic water bottles littered the beaches, streets and forests of the Philippines. We saw them floating in the ocean when we were traveling by boat, and saw them dragging along the ocean's floor when we were diving or SCUBA'ing. It felt as though it was killing us, in a sense. We couldn't help but worry about our homes in Hawaii and the pollution issue we dealt with already. Would Hawaii look just as polluted as these islands one day? Was there anythign we could do to stop that? Where do we even begin? First, we did everything in our power to avoid buying one SINGLE plastic water bottle while abroad and also maintained our health (and proper hydration) while backpacking through Southeast Asia, Indonesia and Sri Lanka. We also saved a bucket load of money on over priced water bottles and avoided hellaa' single use plastics by monitoring our food packaging, to-go containers, takeaway juices, cocktails etc. Now that I can reflect on our trip, I see how successful we were by making the efforts we did. I'll forever have memories of us ordering local vegan food in our nifty re-useable food containers and explaining time and time again to our restaurant servers that we didn't want or need plastic straws in our drinks because we already had ones here in our wallets. Just here. We'll show you. I'll share all of our sustainable travel tips below with the loving intention to inspire many of you, reading this right now, to do the same. Because, I am here, telling you that we just did it, and you can do it too. Although my time abroad is over for now, my mission is not. I’m here, writing this blog from my cell phone in an airport waiting room to share with you all that it can be done. Consciousness and mindfulness for our environment and our natural resources should not be placed on the back burner while we travel. You can see the world and save it too. I ask you to join me, and do exactly that. Please feel free to comment on this blog or message me privately with any further suggestions or comments you may have. I would love to hear from you. Be creative. See what you can re-use, borrow, swap, buy second hand (on sites like Preloved) or make yourself. Don’t buy new if you don’t have to. Cheaper is not always better. Go for the durable and degradable option. Eat and pack close to nature. Pack light. It saves whatever transport mode you use, and yourself a ton of energy. Pack purposefully for the destination you’re traveling to. What do you really need? Stuff made from recycled-anything is always better than new. It helps to create awareness. BUT, it’s not the solution! Eventually, it still adds to the trash pile. Rethink – refuse – reuse – reduce – recycle – and if no other option… waste. Buy from local providers to shorten the supply chain, which includes transportation energy cost, use of packaging, and benefits for those down at the bottom. If you order online, kindly request to use little packaging and without plastic tape. Demand minimal, or better, NO packaging in general wherever you go. Buy online near you to avoid a package going from plane, to ship, to ferry, to truck, around the world. Save a tree and some money and travel with e-books instead of books. Find them online at Audible or Amazon.com. Travel guides like lonely planet have gone digital too. Support the small entrepreneurs and go against mass consumerism. We live in a demand-driven society. Help the good brands, without lobbying power and big advertisement budgets, to climb up the ladder. Demand plastic free and toxic free where you can. This way you say no to oil drilling, carbon emissions, and yes to a cleaner way of life. Then governments step in! 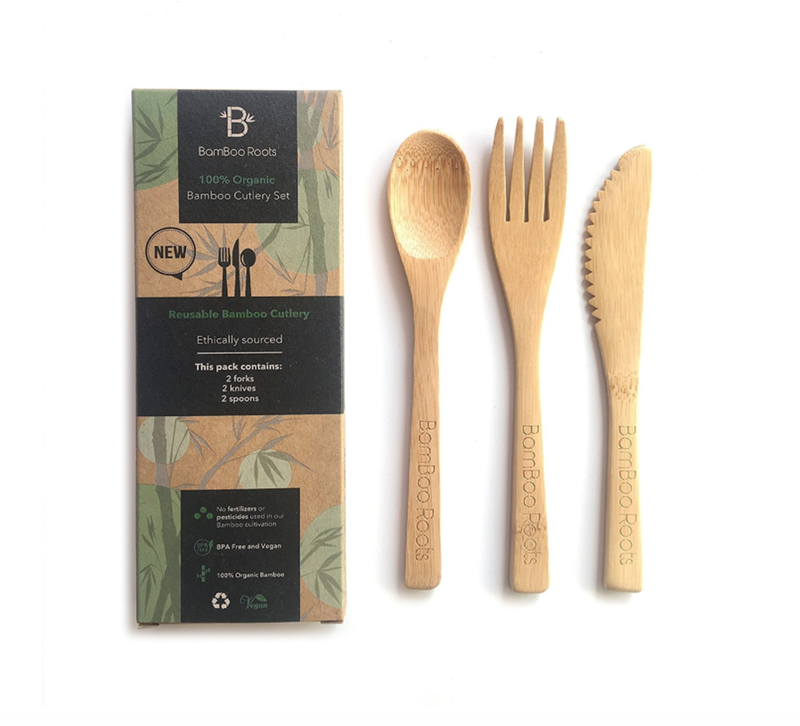 Don’t just buy something because a company says it’s ‘eco friendly’, ‘sustainable’, ‘organic’ or ‘green’. These have become fashion words. Certifications are a step in the right direction but don’t just take that for granted either. When a brand is a certified B-Corporation, it’s using business as a force for social, environmental, and economic good. So that’s a step in the good direction. Read labels, read stories, ask questions, and find out answers. If you buy toiletries, buy in bulk to minimize package materials. 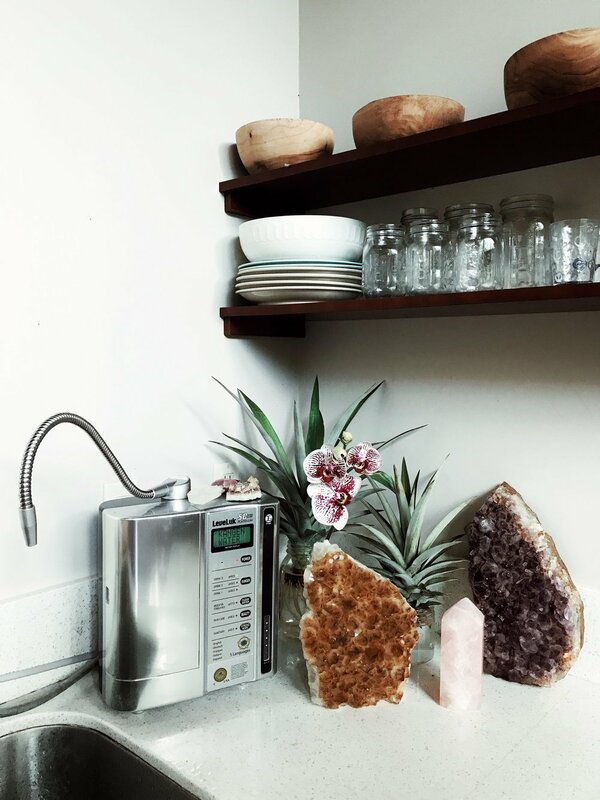 Traveling with your own water isn’t an option for everyone, but if you own a Kangen water machine, you’re in luck. The water produced by the Kangen Water machine is certified medical grade electronically reduced water. When you purchase a machine, the paperwork with medical grade certificate is included inside of the box which gives you access to travel with this water on a plane. Which is pretty f*cking cool if you ask me. Bring as much water as you’re able to carry and make sure to arrive early to TSA security gates to inform them of your medical water and answer any questions they may have. Usually, I just tell the first person I see at security that “I am traveling with medical grade water and have all necessary paperwork in my bag if you’d like to review it.” Sometimes, TSA requests to see the certificate, other times they do not. Often, TSA will ask to open the bottles and test the water (with a simple drug indicator strip) to ensure that you’re traveling with medical water and only that. It is a BLESSING to be 100,000 miles above sea level sipping on cold 9.5 pH Kangen water from my own reuse-able water bottle, let me tell you. 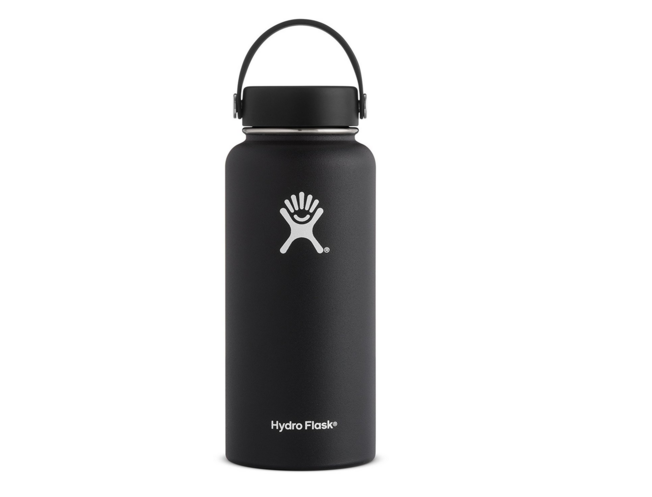 I take my Hydroflask bottle everywhere I go. Everywhere. I mean that. So you can guarantee I bring two or three of them with me when I travel. I invested in a 64oz Hydroflask before my trip and brought two other, smaller hydroflask containerswith me as well. I love the 40oz bottles because they’re light and comfortable to carry around as well as the 22 oz. insulated tumblers which are amazing for smoothies, juices, coconut water and hot coffee/tea on the go. 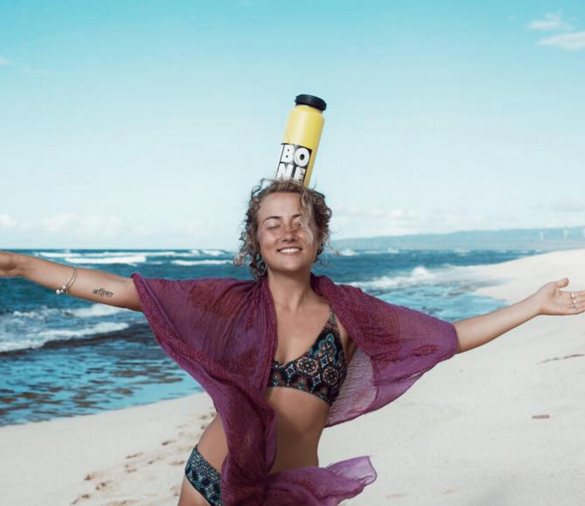 I know these bottles can quickly take up room in your bag, but you’ll never regret having them with you when it means saving money on free water fill-ups at hostels, home-stays, cafes and restaurants as well as keeping drinks hot or cold as you travel. Also, the more you carry your re-useable bottle with you, the less you’ll find yourself stuck in those last minute “I think I have to buy a bottle of water” situations. We brought our bottles everywhere and didn’t hesitate to politely ask staff or cafe servers to please fill up our bottles with filtered water from the kitchen. Most were happy to load us up with free filtered water, others asked that we pay a small fee (usually 50 pisos or $1) to fill up our large bottles. Which was a price we were happy to pay. We found filtered water everywhere. Ask and you shall recieve, we did exactly that. I’ll attach photos of the exact three bottles I traveled with below and highly suggest you consider “treating” yourself to the water bottle of a lifetime. This is a major sustainability hack.Although it’s not something many people do, I try to live my life like every day is a picnic. When I’m home in Hawaii, I keep a bag or basket in my truck filled with empty (and clean!) mason jars, cutlery, chopsticks and to-go containers. When I’m out running errands or stuck in island traffic, I can grab salad, hot food, smoothies or green juice from local delis/health food shops without settling for single use plastic. As I use the jars/glasses/cutlery, I simply swap them out for a clean replacement and make sure to always carry extra containers for friends as well. And ... you guessed it, I brought them everywhere with me. When I went out for the day, I threw the clutch in my day bag and enjoyed eating out at cafes/markets/food trucks without collecting plastic forks and knives everywhere I went. I learned the fun way that there is no greater feat than coming across a coconut tree and knowing you have a straw and spoon on hand at all times, ready to drink the delicious water and carve into the tender coco meat. As for food containers, I packed one large/medium container with a second small container packed inside it. I’ll attach a photo of the exact container I used below, but you can use any Tupperware you have on hand at your home. The containers were lightweight and easy to travel with. When I wasn’t using them, I’d stuff them with jewelry/headbands/beach glass and shove them in my big backpack. 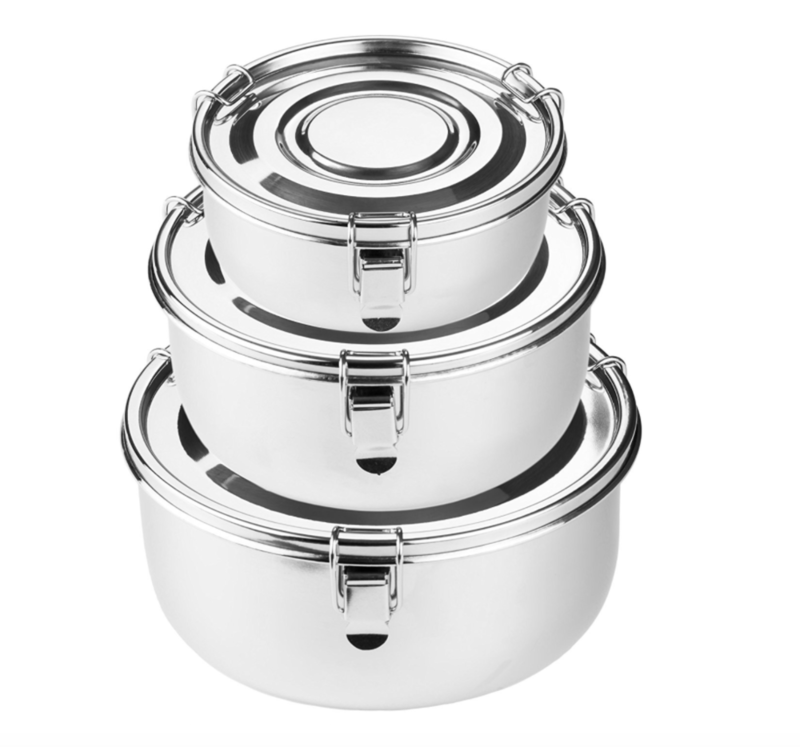 When I was using them, I would fill them with rice, soups, salad or fresh fruit from local markets/vendors and eat my meals as I wish- from the beach or on the boat. By bringing your own containers, you eliminate the need for wasteful to-go food containers, and also ensure that if you find a food you LOVE (and may not be able to find later in the day,) you can load up on a second serving and save it for dinner or dessert. Just as you would bring your own shopping bags to the grocery store to avoid plastic shopping bags, having extra cloth bags on hand while traveling was a huge help in the sustainability department. 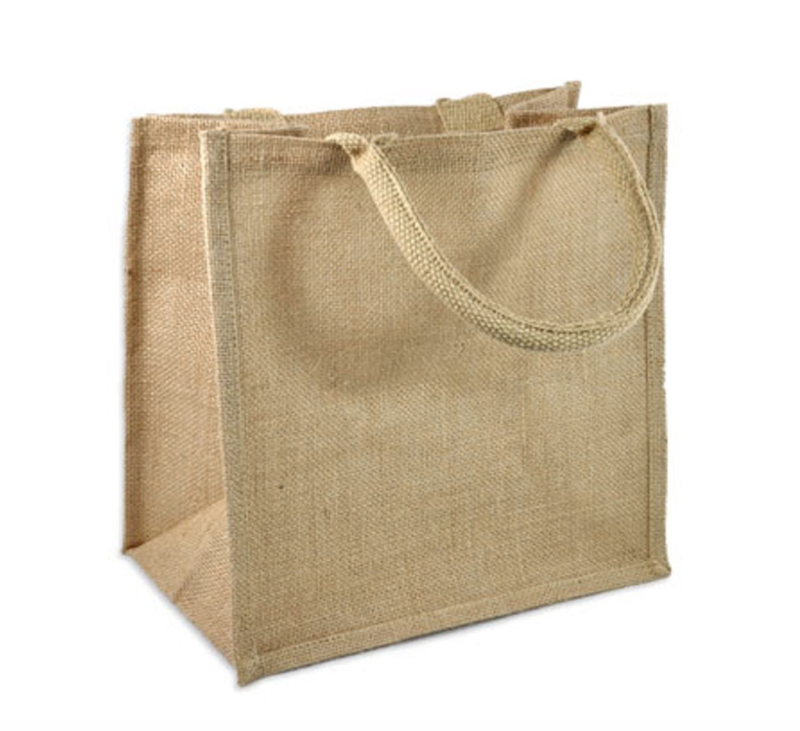 Extra bags are incredible for carrying fruit or snacks from the local markets, groceries, beach gear or even your reusable food containers/bottles. They also are wonderful for dirty clothes, damp bikinis or muddy shoes after an outdoor adventure. Whenever our dirty laundry piled up while traveling, we’d throw everything in a cloth bag and drop it off at the local laundromat where we would politely request that the clean laundry be returned to us in our cloth bag, rather than a new plastic bag. 1. Turn off and unplug all of your lamps and household electronics. Electronics continue to use power even if they are turned off. 2. Turn off your water and gas valves. This helps to avoid waste water incase of leaks while abroad. 3. Make sure to eat or give away all perishable food items before leaving home. Donate any left over foods to a local soup kitchen or food bank. 4. Drop off your recycling and take out any garbage or compost! Make sure to properly recycle all of the packaging, plastic and cardboard boxes from the goodies you bought for your travels. Fill up your water bottle with filtered water at any restaurant, cafe, hotel or accommodation. Many spas, yoga studios, coffee shops and tourist offices offer free filtered water to customers to avoid single use plastic. Some restaurants may ask you to pay a small price to fill up your bottle with their filtered or purified water. Remember to bring your water bottle, reusable cutlery, straws and extra tote bags with you every time you leave the hotel. Opt for sustainable transport such as walking, public transport (trains, buses, ferries) or renting a pedal bike while abroad. Enjoy finding creative ways to get around and take advantage of new exercise opportunities while exploring a new city or country. Choose Eco friendly resorts/Accommodations. Supporting accommodations that strive to have little impact on the environment and it’s natural resources means leaving behind a smaller footprint on your travels. Enjoy learning more about zero-waste/off-grid/sustainable living and ask to tour the property’s garden, compost area or water source to educate yourself further. Make efforts to shop at local food markets or purchase fresh (local) produce when traveling abroad. Bring your reusable bags out for the day and stock up on fresh fruit, veggies, herbs or coconuts as you go. Enjoying (and trying new types of) local fruits and veggies is one of my favorite ways to experience a new culture or location. I never consume meat or dairy while traveling abroad because these foods require the most water/land/resources by far and I do not wish to take away or negatively impact these countries that I am fortunate enough to travel to. Avoiding meat and dairy also promotes my lasting health and ensures that I do not fall ill from foreign bacteria or viruses while traveling. There are so many ways to experience a new country, such as local produce, music, surf, museums, hiking or art. Consuming meat or fish doesn’t need to be one of them. The food we eat has an impact on the land. Wether that land is in the local area, or thousands of miles away. Be aware of this always. I do my best to. Research local beach clean ups or charity events while on vacation. You can simply google search “beach clean up in ____” or “charity event in ___” and see what you come across. Community Facebook groups are another great place to connect with fellow travelers and inquire about new ways to get involved and give back to the beautiful destinations that share so much with you and your traveling companions. For example, search "Ubud Community Group" when traveling in Bali. Reuse-able Food Containers/Thermoses. You can use these to pack airplane snacks and then continue to keep them with you throughout your travels as you empty them. Small 4 Oz. Spray Bottles with 2.5 pH Kangen Water and 6.0 pH beauty water to use as hand sanitizer, mouth wash, disinfectant, facial toner, moisturizer etc. while traveling. Swiss Army Knife (to be packed in checked bags only) with scissors, tooth pick, knife, tweezers etc. Dry Bag to carry electronics, cell phones, wallets and cameras in while on the boat or out in nature. 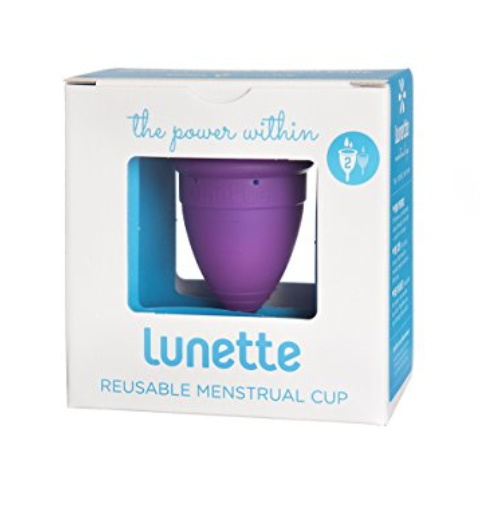 I always carry a silicone Menstrual (Moon) Cup with me while traveling and at home! I have been using a menstrual cup for three years now and could never imagine going back to single use tampons/pads or sanitary napkins. Not only do these products sit in landfills unable to break down for dozens of years after we use them once, they are expensive and take up so much space in my backpack when traveling for long periods of time. Some women love their moon cup right off the bat, while others have to experiment with a few sizes/shapes to ensure theirs is a comfortable fit. Here are three moon cups I reccomend or have used personally. Click on the image to learn more. The Daysy is all natural, free of side effects and requires no charting what so ever. It does it all for you. I love being able to prepare for my moon cycle while traveling and at home. Often times traveling comes with new emotional/physical difficulties and I love to be especially gentle with my body on the days leading up to my period. Also, the Daysy is small as can be and fits perfectly in a carry on bag, cosmetic bag or suitcase. Every morning, you take your temperature underneath your tongue. You confirm menstruation on the days you have it by simply clicking a button. The Daysy evaluates your data and calculates your fertility status for the next 24 hours. The whole ordeal takes 60 seconds. WHAT ABOUT SUITCASES AND LUGGAGE? Ideally, you'll want to buy luggage or backpacking equipment that is pre owned or sustainability made.I always make sure to avoid Leather, suede, Rayon and Polyester when purchasing clothes/bags/equipment. Borrowing luggage from a friend or former backpacker is another great option! If you're not able to track down someone who has what you need to borrow, websites like Preloved are great for buying supplies second hand. I've linked a few sustainable/vegan bags below that I love and reccomend if you choose to buy new. If you have any other suggestions for travel gear, please feel free to send me a message below. I'd love to include as many eco-options as possible.